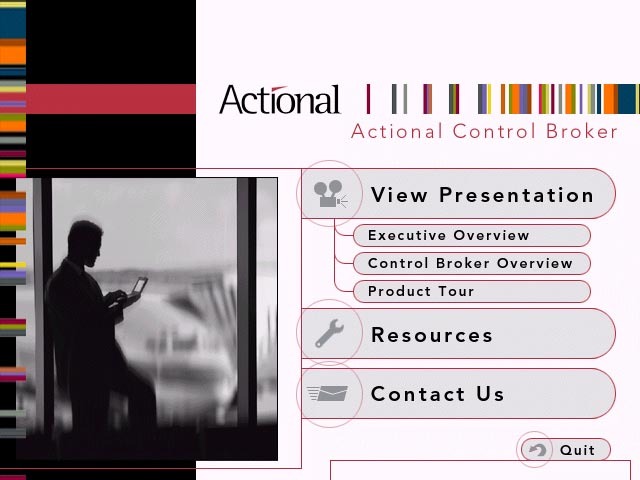 Case Study: Actional Corporation wanted a product that would demonstrate the features and benefits of its Control Broker software without potential users having to fully download or install the program. 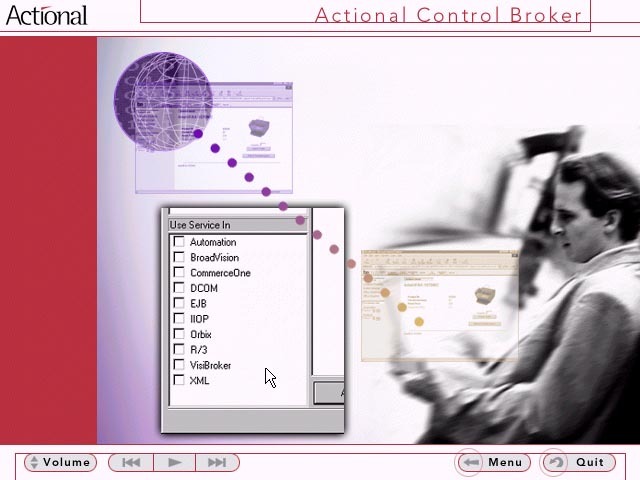 With the CD-ROM, users were able to see how Control Broker could solve many incompatibilities between their existing CRM and other software programs. 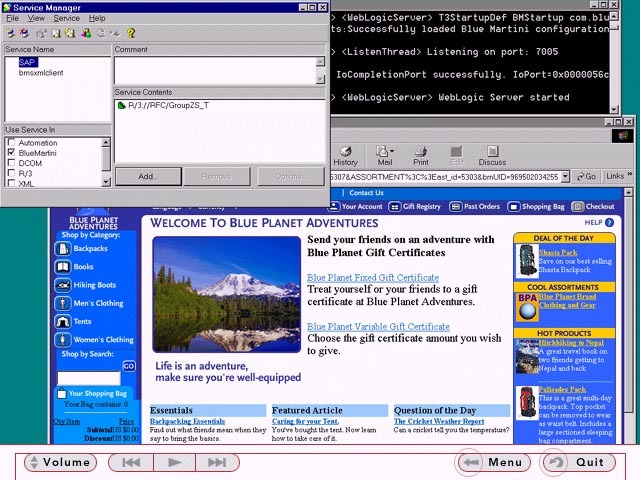 A full-length version of this CD-ROM is available upon request. Click each thumbnail for full size sample.